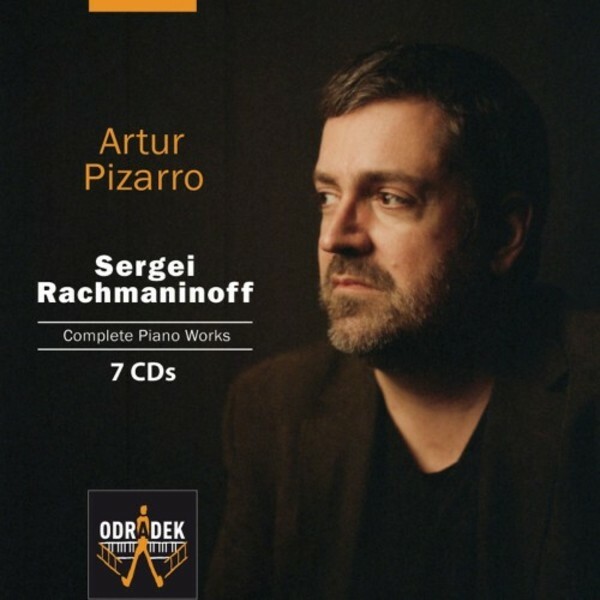 Described as a ‘poet amongst pianists’, Portuguese artist Artur Pizarro presents the complete solo piano works of Sergei Rachmaninov. Previously released in three acclaimed volumes, this box comprising seven CDs is issued at a very special price. A former winner of the Leeds Piano Competition, Pizarro offers his listeners a lifetime of love for, and experience with, this music which speaks, as he says, ‘of the endless variety of the human condition’. Tracing Rachmaninov’s development as a composer from the early Nocturnes and his encounters with Tchaikovsky as a teenage student of Nikolai Zverev in the 1880s, to the so-called ‘Corelli Variations’ of the 1930s, this landmark release shines a new light on every aspect of this remarkable oeuvre. From the famed thunderclaps of the C sharp minor Prelude, via the monumental passion of the two sonatas to the tender lyricism of many of the lesser-known miniatures, Pizarro imbues every page of this music with the fire and feeling for melodic contour for which his playing has become so admired.